Northwestern officials are considering expanding the dorm at 1835 Hinman to stand 85 feet tall to help accommodate the two-year live-in requirement. NU would have to get a zoning variance to build a dorm higher than 45-feet tall. 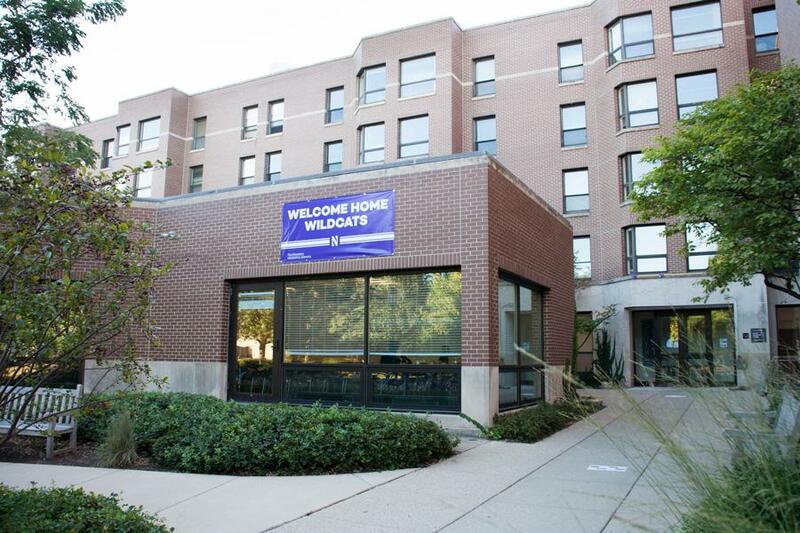 The University’s two-year live-in requirement may not be possible if Northwestern does not get special approval from the city of Evanston to expand the residence hall at 1835 Hinman, administrators said Tuesday. John D’Angelo, vice president for facilities, said NU needs to find additional room for housing to implement the requirement in fall 2017, as planned. If the University requests approval of zoning variance to build higher than 45 feet, the new residence hall could potentially be 85 feet tall. Northwestern administrators, aldermen and Evanston residents met Tuesday for a Northwestern University-City Committee meeting to discuss Northwestern development and its impact on nearby residential communities. Aldermen and residents expressed concern for the potential zoning variance because it would create a tall building next to residential areas and increase the population density of the neighborhood. “I don’t honestly believe … without some type of a height variance, that I’m going to be able to get the numbers of beds to be able to implement the two-year live-in requirement,” D’Angelo said. NU will require all freshmen and sophomores to live on-campus beginning next year. University spokesman Al Cubbage said in August the University’s plans to expand 1835 Hinman to meet demand. Evanston residents expressed concerns for a taller dorm at 1835 Hinman, saying jaywalking across Sheridan Road — which many called “dangerous” — would increase. Some Evanston residents suggested the expansion of East and West Fairchilds instead to reduce jaywalking and foot traffic in residential areas. Even though she acknowledged expanding a dorm — and having more students living on campus — has potential to create more campus community, Ald. Judy Fiske (1st) said noise and nuisance complaints can still persist because of off-campus students throwing parties. Evanston resident Arlene Haas said she appreciated the dialogue and transparency Northwestern administration provides Evanston residents, but the expansion at 1835 Hinman would be too much development near residential areas. Haas added that one zoning variance granted could lead to others, and she feared a rezoning of the whole Evanston neighborhood.